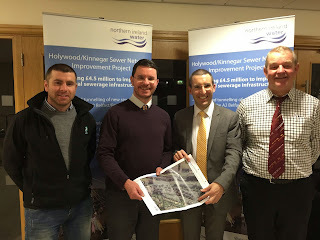 I welcome progress achieved by NI Water in dealing with the sewage pollution problem in Kinnegar area, Holywood. A £4.5million scheme recently commenced which will involve laying and tunnelling new sewers in the vicinity of the A2 Belfast / Bangor Road and Railway Line plus diversion of wastewater overflow discharges to new wastewater pumping station adjacent to the Kinnegar Wastewater Treatment Works, which will improve the overall sewerage infrastructure in the area, reducing the likelihood of odours. After personally campaigning for over four years which has involved raising the matter with the European Commissioner for the Environment, meeting the Regional Development Minister, numerous Assembly questions and a formal complaint to the Environment Agency I am delighted to see funding awarded and construction work occurring in the area. The recent local public engagement event held by NI Water proved useful with more information on future plans outlined. With the overwhelming majority of work due to take place during 2015 all works should be complete by early 2016. NI Water will then focus on possible remedial work to address the serious pollution which has occurred within the Kinnegar Lagoons. Whilst local people have endured the pollution and associated odours for far too long I am glad to see work commencing to address the environmental disaster which has occurred in the Kinnegar Lagoons. Recent reports indicate that interim work to stop tidal flows is allowing the lagoons to slowly return to their natural state. 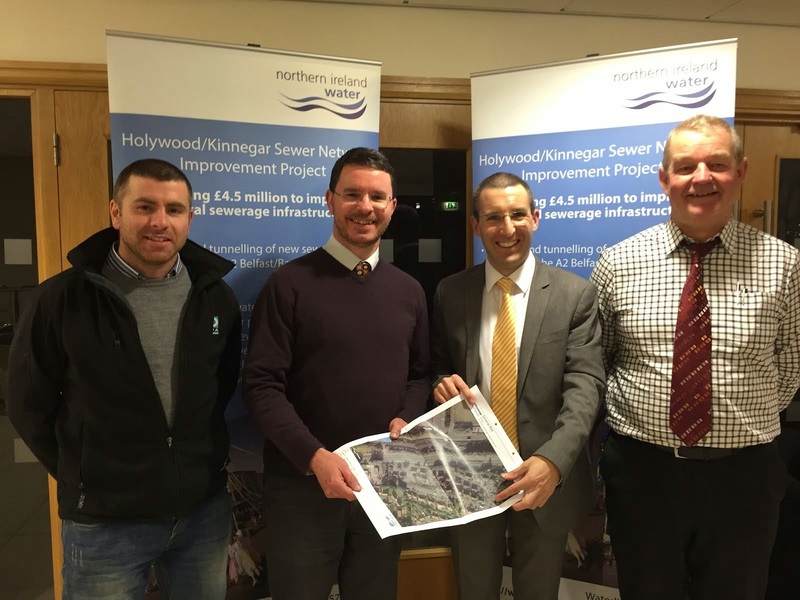 I look forward to seeing NI Water deliver further progress throughout 2015 as we strive to deliver a clean, green and healthy Holywood.